A work of this nature would be inexcusable for not saying something about prayer, for who can live life triumphantly without prayer? Who can properly estimate the true worth of prayer or rightly appreciate the privilege of prayer? Man esteems it a great honor to be admitted into the courts of the lords and kings of earth. What an honor it is to have audience with the King of glory! He extends the golden scepter to us, and we come hopefully, confidingly into his presence to tell him all that is in our hearts. He loves us so. We should not dare to come into the awful presence of the Great King did we not know that he loves us with an everlasting love. When we understand his love toward us, we tell him with joy and eagerness every desire of the heart. Prayer is the energy and life of the soul. It is the invincible armor which shields the devoted Christian from the poisoned missiles shot forth from the batteries of hell. It is the mighty weapon with which he fights life's battles unto victory. He who lives in prayer reigns triumphant. The dark storm Clouds are driven away, mountains of discouragement are cast into the sea,chasms of difficulties are bridged, hope is given wings, faith increases, and joys abound. Hell may rage and threaten; but he who is frequent and fervent in prayer experiences no alarm. By prayer the windows of heaven are opened, and showers of refreshing dew are rained upon the soul. It is as a watered garden, a fertile spot where blooms the unfading rose of Sharon and the lily-of-the-valley; where spread the undecaying, unwithering branches of the tree of life. By prayer the soul is nourished and strengthened by the divine life. Do you long for a brighter hope and deeper joy, for a deeper sense of the divine fullness, for a sweeter, closer walk with God? then live in prayer. Do you love to feel the holy flame of love burning in all its intensity in your soul? then en kindle it often at the golden altar of prayer. Without prayer the soul will weaken, famish, and die, the fountain of love dry up and become as a thirsty and parched desert. Do you admire the character Jesus? Behold his lowliness and humility, his gentleness and tender compassion. Have they any beauty and do you desire them to grace your soul? then draw them down from the skies in all their glorious fullness by the fervent prayer of faith. As through the process of assimilation food is transformed into an active, living being, so through the medium of prayer the character Jesus, in all its transcendent beauty and glory, becomes the character of man. If you desire victory during the day, begin it with prayer--not a few hurried words, not a few ejaculations, but minutes of deep, intimate communion with God. Linger at the altar of prayer until you feel particles of glory drop in richness into your soul, scattering sweetness throughout. In the early morning hours, when the still, balmy breath of nature plays around you, let your soul fly away on the wings of prayer with its message of love and praise to its Maker. If you desire to be more deeply and sincerely pious, pray. If you desire heights in his love, depths in his grace, fullness in his joy, and richness in his glory, pray, pray with all sincerity of heart and intensity of soul. Did you say you had no time for prayer? What a pity! Your happiness and success in life depend upon prayer. Your eternal enjoyment depends upon it. Then, oh, what a pity that you have no time for prayer! Satan will tell you there is no need of so much praying. He will give you indifferent feelings if he can, and tell you that you can get along well enough without it. He will do all he possibly can to prevent your praying. If there is not much benefit derived from prayer, why is he so concerned? The Bible commands are: "Watch and pray," "Pray always," "Be instant in prayer," "Pray without ceasing," etc. Beloved saints, I exhort you to a life of prayer. I beseech you in Jesus' name to go often into your closets and there in all earnestness of soul pray until the love of God and light of heaven fill your beings. 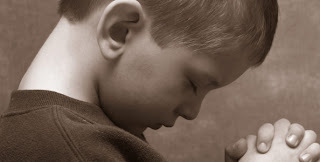 Pray until a rapture from the skies sweeps over your soul, making the place of prayer the dearest spot on earth to you.